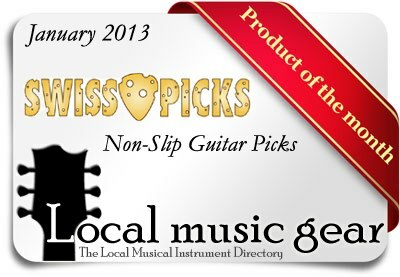 Here at Swiss Picks, we are dedicated to producing the finest guitar picks from the finest materials in the USA. We strive to be the best .. Anything less is simply unacceptable. Swiss Picks : Innovation , Not imitation. The Off Center Holes & Raised Edges not only eliminate the issue of the pick turning in hand, but also gives the player the freedom to readjust while lightening the pressure on the pick during play.